DooLollies ~ What are they? DooLollies are fun and versatile hair accessaries (or thangs for those of feelin silly). Right now I have just one style. 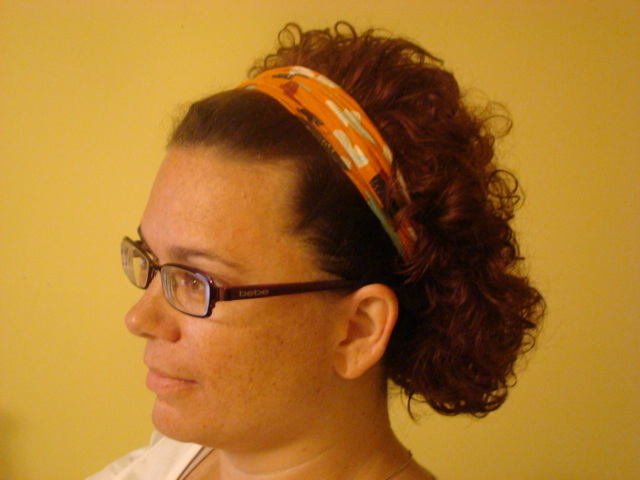 That’s what I’m calling an expandable headband. There is an elastic band covered in the same fabric on the underside. I machine sew the hem on the top portion and the seam on the bottom portion. (I will post some closeup photos soon) The elastic, top piece and bottom pieces of fabric are all hand sewn. I can adjust them to fit smaller or largeras I’m making it. I will do my best to offer other teams, when the fabric is available. Well, maybe not Tennessee (just kidding). You are more than welcome to send me fabric if I’m not able to find it here, or if you have some you just love or want to match with an outfit. I also made one that was spread out much further for my sister. She wanted to try to use it in the operating room, but it wasn’t quite long enough. I am working on other styles and will post them as I’m pleased with them. 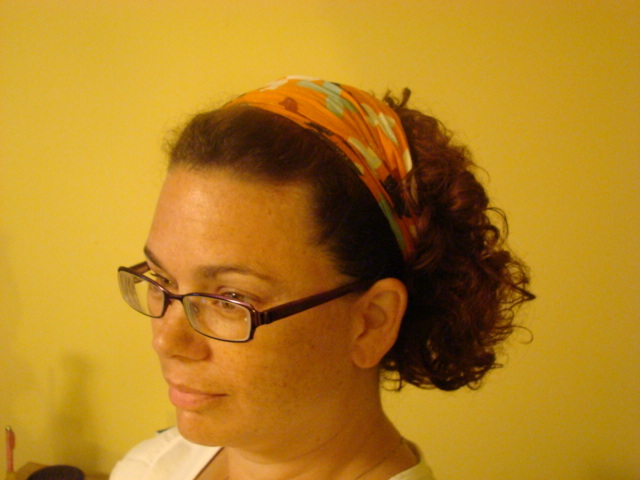 First it can be worn closed up, so it looks like a regular headband. This is pretty cute. 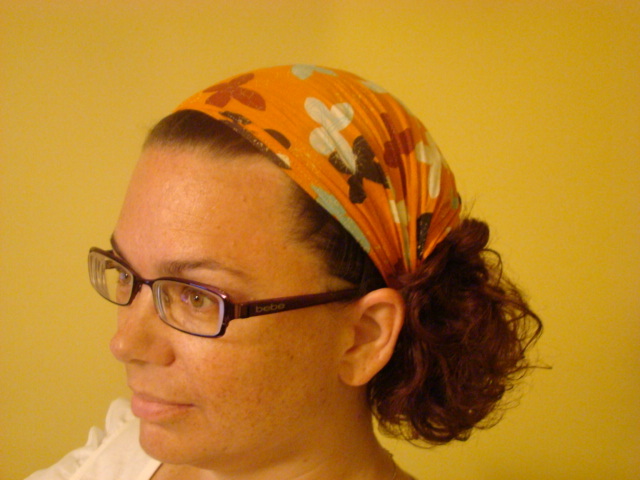 Next it can be worn opened up all the way, so it looks more like a kerchief. This is great for when you are feeling rather bohemian or when you are sick as a dog, didn’t wash your hair, and have to go to the doctor. Does it sound like I know that from personal experience? Thirdly, and I think my favorite, you can wear it somewhere in between those two. I am working on having my PayPal account hooked up to this page. Hopefully that will be up in the next couple of days. In the meantime, Please check out the Shopping page and look at The Alabama and Auburn DooLollies. There is an explanation for how you can get your very own DooLollies.